Organizations seeking expansion of individual and/or team skills, assimilation of productive behaviors, and a highly interactive learning environment hire Joanne Bond. Joanne leads customized workshops and energetic presentations that meet the specific needs of your audience, culture, time and budget. And other topics relevant to your organization. Periodically Joanne offers workshops that are open to the public on different topics including "Energize! Energizing Women Through Life Changes." 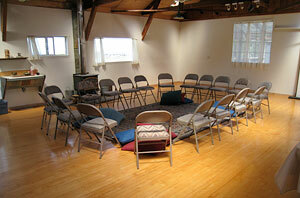 Currently, her most popular workshop is "4 Fridays: A Women's Coaching Circle on the Coast." Do you want to bring this workshop to your area?